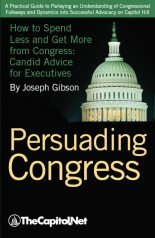 There are three types of appropriations bills considered by the Congress. 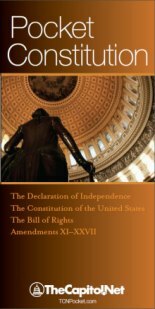 Regular appropriations bills provide funding to agencies for the next fiscal year, which runs from October 1 to September 30. 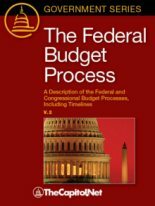 Supplemental appropriations bills provide additional funding during the year when regular appropriations are insufficient. One common reason for a supplemental appropriation is to fund recovery from natural disasters. Some administrations have also requested supplemental appropriations to fund military actions. For example, much of the funding for the wars in Iraq and Afghanistan during the Bush Administration was funded through supplemental appropriations. 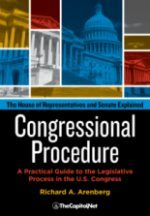 See Supplemental Appropriation / Supplemental Appropriations Act (CongressionalGlossary.com). Continuing resolutions are joint resolutions often referred to as CRs. 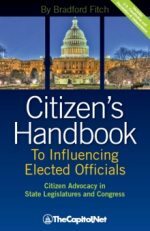 CRs are frequently used to provide funding for agencies when the normal regular appropriations bills for those agencies have not been enacted into law by the beginning of the fiscal year. CRs often extend the funding at the same level as the last regular appropriations for the agencies affected. Other times they may increase or reduce funding. For example, CRs have been passed based on adopting the lower amount provided in a House-passed or Senate-passed regular appropriations bill. CRs are in effect for a fixed period of time. In recent years, it has often been necessary to enact multiple CRs, often providing the necessary appropriations in place of regular appropriations. Some of these stopgap measures are for a short period of time, a matter of days, while negotiations are being conducted in Congress in an effort to pass the regular appropriations bills. At other times, the period is much longer, weeks or months, and in some years, a CR has been necessary to provide funding for the entire fiscal year. Ch. 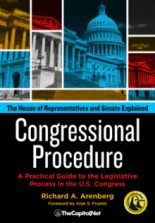 7.H., Appropriations, in Congressional Procedure.